Surfer Boy. 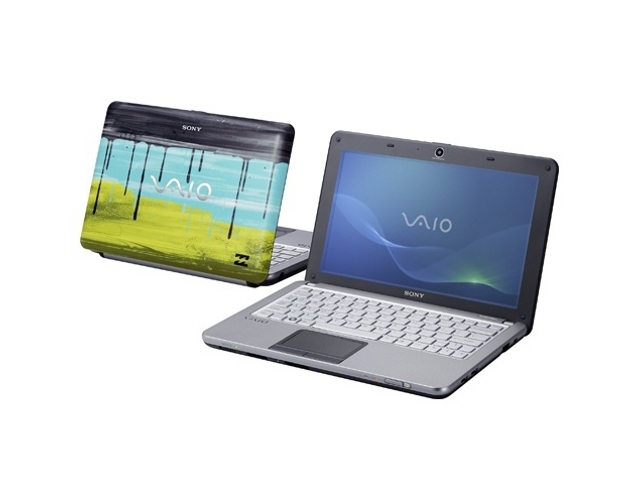 Sony wants to prove that netbooks don't always have to be made of small, unsightly cases with the VAIO W21C7E netbook designed by Billabong. We'll find out if the netbook's price is justified, or if you're only paying for the name in our review. N470: Upcoming Atom CPU for Netbooks with integrated memory controller and GMA 3150 GPU. The performance of the CPU should be compareable to a Atom Z450 with 1.86 GHz and about 5-10% above the N450.» Further information can be found in our Comparison of Mobile Processsors.